If ethanol levels are raised, it could spell trouble for boaters. In mid-April, President Trump said he was planning to remove summertime Environmental Protection Agency regulations and allow the sale of E15 gasoline — made with 15 percent ethanol — year-round. The move drew immediate concern from BoatUS, which has long said that ethanol can harm marine engines, decrease fuel efficiency and increase fuel costs for boaters. Allowing E15 to be sold year-round, the group says, would only add to existing fuel-supply problems that boaters face. The problem primarily affects trailered boats whose owners fill up at roadside gas stations, Kennedy says. percentage ethanol gasoline mixes such as E15 become more volatile than those with 10 percent or less ethanol, Kennedy says. As a result, emissions from vehicles filled with higher-level ethanol gasoline during the summertime can increase ground-level ozone more than during cooler months. That ground-level ozone, according to the EPA, can cause health problems in people, vegetation and ecosystems, which is why the summertime ban on higher-ethanol fuels is in place. 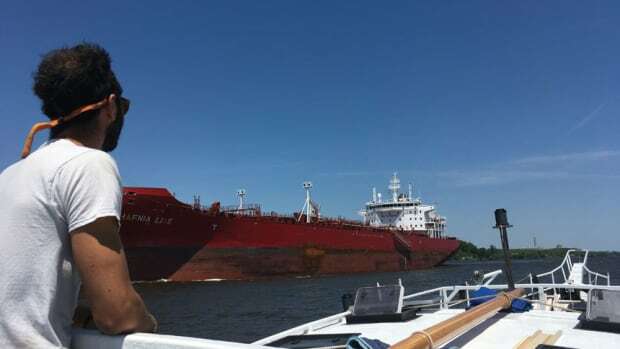 The ban is good for boaters, Kennedy says, because it lessens the chance that they will accidentally run E15 through their boat’s power plant during the nation’s prime cruising months. 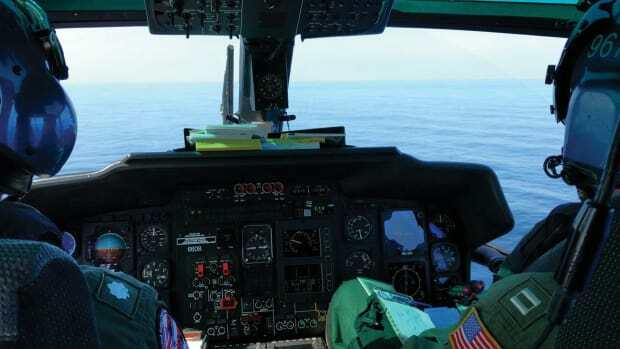 While BoatUS says that E10 is now found in more than 97 percent of the nation’s motor-fuel supply, any gasoline with greater than 10-percent ethanol, including E15, is prohibited for use in marine engines. Numerous reports from marine-service facilities have the shown damage that ethanol-blend gasoline has caused, Kennedy says. 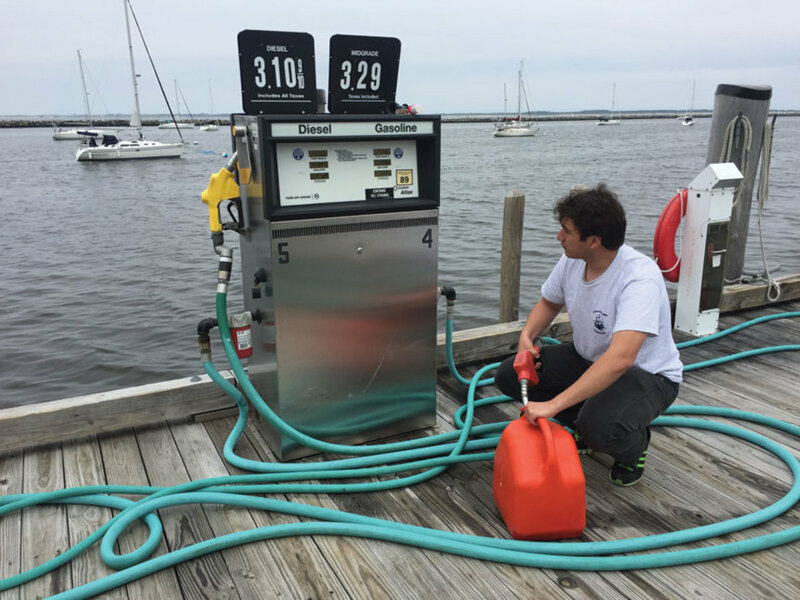 That’s why most, if not all, marina fuel docks look to source ethanol-free or lower-ethanol blend gasoline mixes. 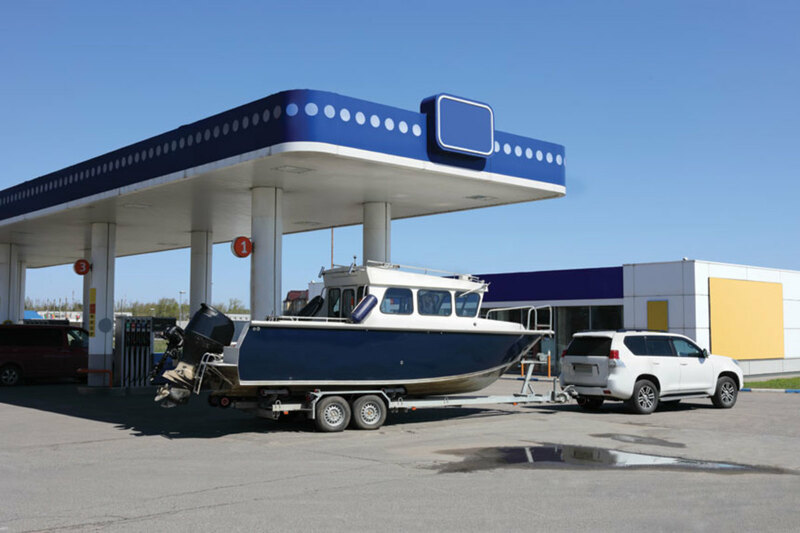 But the majority of boaters, Kennedy says, fill up at roadside stations, which means that most boaters would be affected if Trump’s plan for year-round E15 availability becomes reality. In 2016, when the EPA allowed public comment on ethanol-based fuel, thousands of BoatUS members told the government, “No! No more ethanol in our gas,” according to the group. 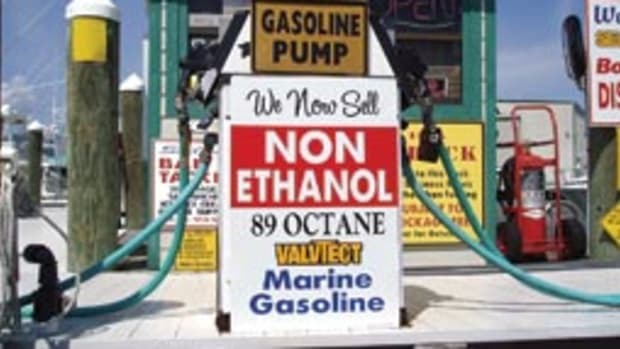 A BoatUS survey showed that 91 percent of members want not only reduced-ethanol fuel, but ideally ethanol-free fuel. And often, Kennedy says, boaters simply miss the label that is required on gas pumps, telling people that E15 fuel is in use. They pump it into their boats by mistake. “There is a requirement that there be one label on the pump — think about all the labels on a pump — that says E15, do not use this in your boat or lawnmower, anything other than a 2001 or later automobile,” he says. Those encouraging the Trump administration to end the summertime restrictions on E15 include the biofuel industry, which says the move will expand the market for America’s farmers, who grow the corn from which ethanol is made. Kennedy says that while Trump’s recent comments indicate the administration’s plans, no formal policy has been put forward on E15 — which is why BoatUS is urging boaters to contact their lawmakers about gasoline preferences. And no matter what happens with E15 regulations going forward, he says, BoatUS plans to continue lobbying for changes to the existing situation. Five years ago, Sam Merrett saw the Ceres on the Hudson River waterfront and had an epiphany about education, alternative fuels and sailing. 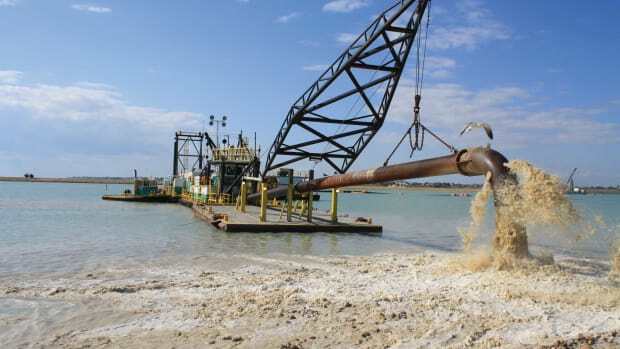 President Trump signs the American Water Infrastructure Act, which includes funding for projects that could make boating more convenient for cruisers up and down the East Coast. 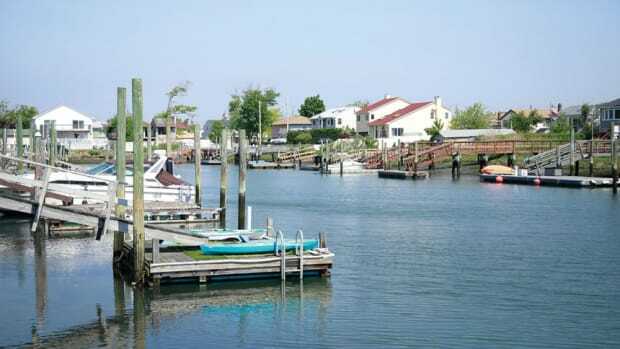 The town of Hempstead, New York, at least for the near future, is allowing the continuation of boating as usual.